On October 21, 2009 Morris Yachts won a 3 year contract to build the Coast Guard Academy’s eight (8) new Leadership 44 custom training vessels. The final yacht will be delivered this year in 2012! Morris won the contract after a nine-month proposal process and was selected over several other prestigious yards including Goetz, Hinckley, Pearson and Tartan. The new vessels will replace the elegant but decades old Luders sailing craft. 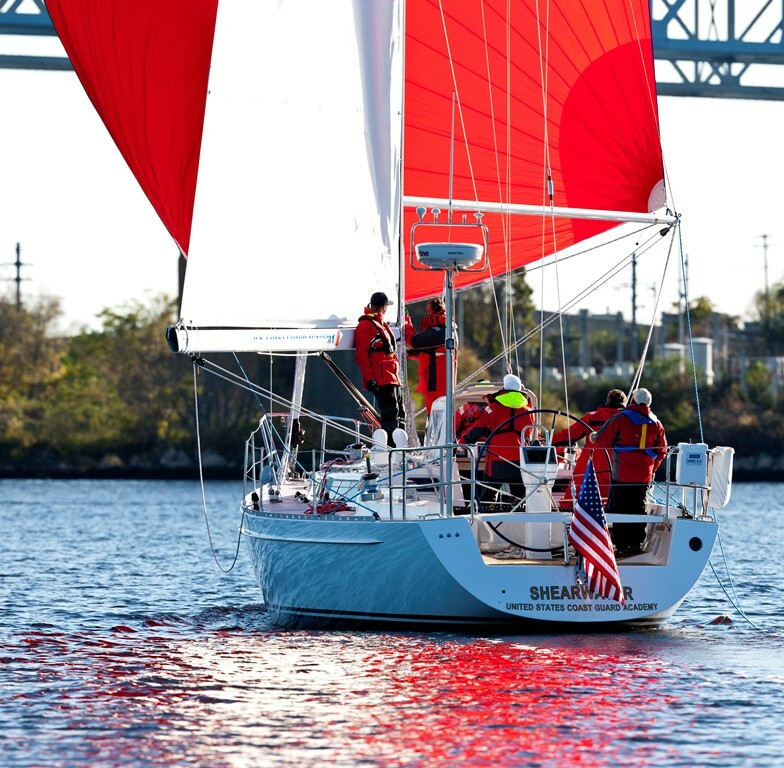 The U.S. Coast Guard Academy chose Morris Yachts because of its ability to deliver high quality vessels that meet specific requirements in both layout design and functionality. The Leadership 44s are a unique blend of advanced naval architecture, high-quality engineering and reliability that will give cadets, and sailors alike, a robust, responsive and progressive vessel.